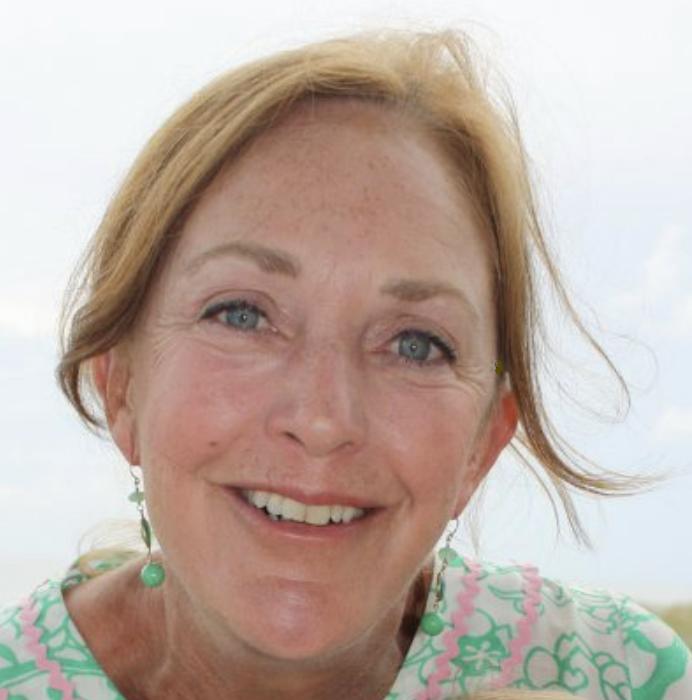 Abigail (Abbie) Louise Sims Edwards, 67, died Tuesday, February 12, 2019 at Duke University Hospital after a brief illness. She was born January 24, 1952, the daughter of Nathan Augustus Sims and Harriet Cecil Sims Chesney. She graduated from high school at Stuart Hall in Staunton, VA in 1970. She attended Saint Mary’s School in Raleigh and graduated with a BS in Special Education from Converse College in Spartanburg, SC in 1974. Abbie grew up in Spartanburg, SC where she learned the value of family and hard work. Her father, Nathan Sims, was the owner and operator of Sims Transfer. Her mother, Harriet, was a homemaker and a stickler for all things proper and Southern. This proved to be the driving force behind Abbie’s biggest desire, to be a wife and mother. She was a homemaker who exceeded the boundaries of her own family. Many thought her to be a culinary genius, rendering her home to be the gathering place for family, friends, and her children’s friends. She entertained with grace and style that exemplified her Southern roots. Her father was one of eight children and her mother one of twelve children; therefore, Abbie had numerous aunts, uncles and cousins. She had one sister, Ann Sims Dennis (David) of Spartanburg, and many nieces and nephews and great nieces and nephews. Abbie treasured each of these relationships and a weekend at Pawley’s Island with “the girls”, became a coveted family tradition. Abbie was an avid lover of dogs. Her first dog was a wire haired dog named Cindy. Cindy taught Abbie about the loyalty and companionship of dogs and from that experience, Abbie would always have a dog. Dixie, Folly Belle, Patsy Burns, and Bonnie brought Abbie much love and joy. As a young girl, Abbie enjoyed summer days at Camp Greystone and became an advocate for young girls to have the same experience. She made her debut in 1970 at the Spartanburg Debutant Club and was a life-long member of the First Presbyterian Church in Spartanburg, SC and Whiteville, NC respectively. Abbie moved to Whiteville in 1980 with her husband and started her family. She was immersed in her beloved city of Whiteville and supported and participated in many local civic and community organizations. She served on the Board of Directors of the Columbus Regional Healthcare Systems Foundation, the Columbus County Arts Council, and the Rueben Brown Preservation Society. She was a member of the Petticoats Investment Club of Wilmington, NC. Abbie was a charter member of the Carolyn T. High Garden Club, a member of the Aza-Mellia Garden Club and served on the Board of Directors of the Columbus County Cotillion Club. Her love of flowers and beautiful landscape led to a position on the NC Governor’s Beautification Board during Beverly Purdue’s leadership as governor. Abbie was a sports enthusiast. She was particularly fond of tennis and in her later years, golf. She was a member of Eagle Point Golf Club where she enjoyed golfing with her husband and friends. She enjoyed reading, playing bridge, and Bible study. Abbie will best be remembered as a loving wife and mother. She married her high school sweetheart, George Richard Edwards in 1974. They had two children, George Richard Edwards, Jr. (Jessica Riffle) and Harriet Cozart Edwards Mills (Patrick). She loved spending time with their grandchildren : Maggie Jean Edwards, George Richard Edwards, III, Patrick Louis Mills, Abigail Jacqueline Mills, and James Cooper Mills- especially at Figure Eight Island. Friends and family will be forever thankful for her boundless love which overflowed from her caring and generous heart that blessed everyone she knew. They will remember her gracious gift of authentic hospitality, her truly welcoming spirit, her cheerful and encouraging outlook and attitude, her infectious laughter and genuine Southern charm. Memorials may be made to the Columbus Regional Healthcare Systems Foundation, 500 Jefferson Street, Whiteville, NC 28472 and Columbus County Jobs Foundation, PO Box 456, Whiteville, NC, 28472. A memorial service will be held on Saturday, February 16, 2019 at 4:00 p.m. at the First Presbyterian Church with Rev. Joe Washburn officiating. A celebration of her life will follow the service at her home, 305 E Oliver Street, Whiteville, NC.